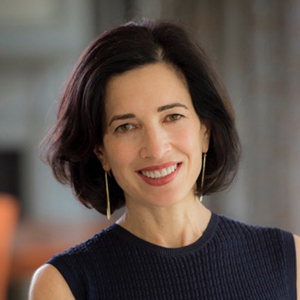 Author Ramie Targoff reads from and discusses her latest book, Renaissance Woman. Targoff’s book explores the life of Vittoria Colonna - a confidante of Michelangelo, the scion of one of the most powerful families of her era, and a pivotal figure in the Italian Renaissance. 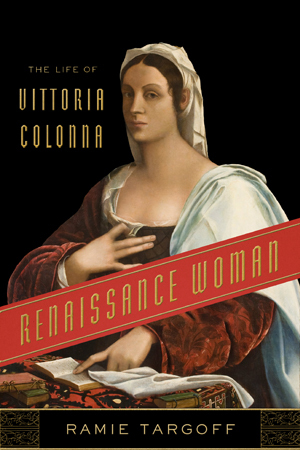 Ramie Targoff’s Renaissance Woman tells of the most remarkable woman of the Italian Renaissance: Vittoria Colonna, Marchesa of Pescara. Vittoria has long been celebrated by scholars of Michelangelo as the artist’s best friend—the two of them exchanged beautiful letters, poems, and works of art that bear witness to their intimacy—but she also had close ties to Charles V, Pope Clement VII and Pope Paul III, Pietro Bembo, Baldassare Castiglione, Pietro Aretino, Queen Marguerite de Navarre, Reginald Pole, and Isabella d’Este, among others. Vittoria was the scion of an immensely powerful family in Rome during that city’s most explosively creative era. Art and literature flourished, but political and religious life were under terrific strain. Personally involved with nearly every major development of this period—through both her marriage and her own talents—Vittoria was not only a critical political actor and negotiator but also the first woman to publish a book of poems in Italy, an event that launched a revolution for Italian women’s writing. Vittoria was, in short, at the very heart of what we celebrate when we think about sixteenth-century Italy; through her story the Renaissance comes to life anew. Ramie Targoff is a professor of English, the cochair of Italian studies, and the Jehuda Reinharz Director of the Mandel Center for the Humanities at Brandeis University. She is the author of Common Prayer: The Language of Public Devotion; John Donne, Body and Soul; and Posthumous Love: Eros and the Afterlife in Renaissance England. She lives with her husband and son in Cambridge, Massachusetts.